Foodies will be delighted to know that Hiroshima offers a diverse range of culinary pleasures, including unique local versions of popular Japanese fare and fresh seafood. Hiroshima’s most famous food is its version of okonomiyaki, a savory pancake topped with meat and vegetables. The local version of the dish is more complex, made layer by layer like a burger. Thin layers of batter are interspersed with meat (or more popularly oysters or squid), cabbage, and yakisoba noodles which are then covered in egg. The pancake is flipped over several times with each layer, and then served with tangy okonomiyaki sauce and topped with bonito flakes. 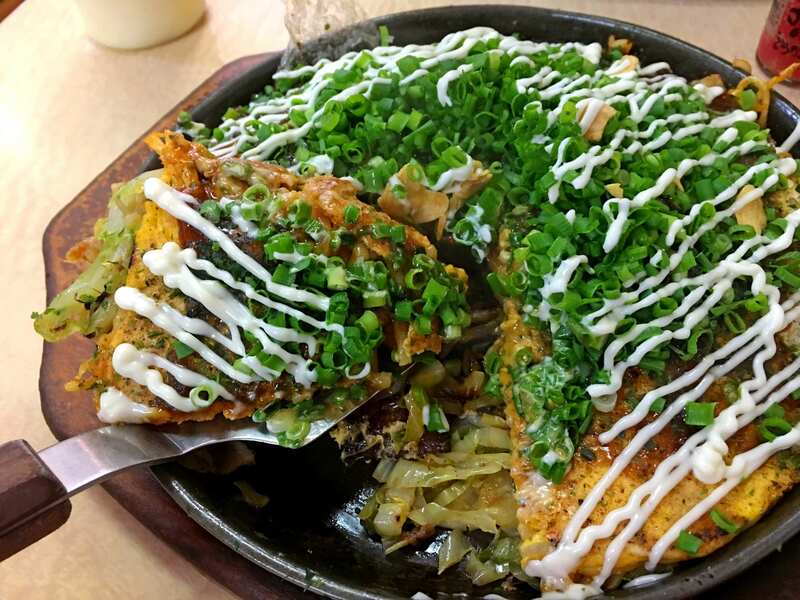 Okonomiyaki is available in many places in Hiroshima – especially in Okonomimura and around Hiroshima Station – where diners are typically seated at a counter in front of a griddle where the chef prepares the meal. 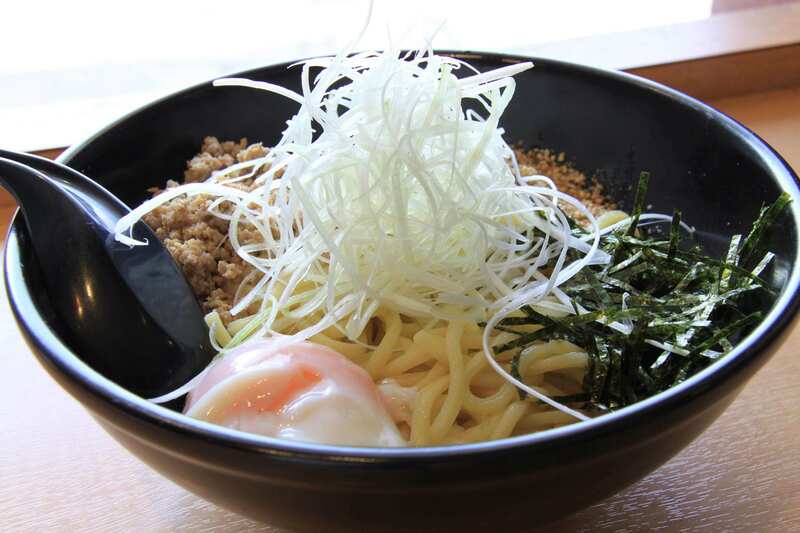 Tsukemen are cold noodles that are dipped in a separate bowl of thick savory soup before eating. The cold noodles are usually topped with chashu (sliced pork), eggs, and vegetables like shredded leek and cabbage. However, in Hiroshima, the tsukemen is actually served spicy – red pepper is added to the dipping sauce and you can select your preferred degree of spiciness. Hiroshima has two distinct types of ramen: the Onomichi Ramen which is a soy sauce-based soup with suspended chunks of seabura (pork fat) served with flat noodles and is wildly popular at Shukaen in Onomichi; as well as the Shirunashi Dandanmen, a dry spicy noodle drenched in chilli oil served with minced spicy pork and topped with scallions. Seafood caught in Hiroshima Bay are highly nutritious and boast a rich flavor thanks to the nutrients flowing into the bay from the Chugoku Mountains. One of the most popular items is oysters – Hiroshima prefecture accounts for over 60% of Japan’s oyster production. 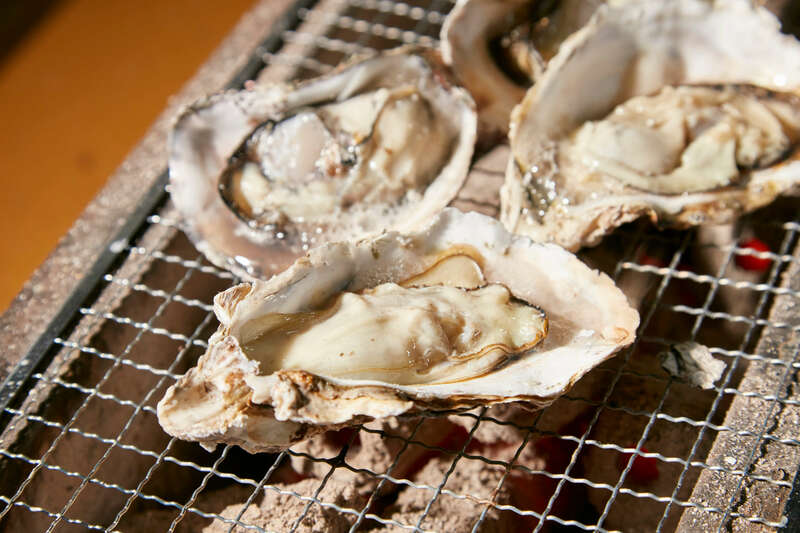 The most famous place for oysters is Miyajima, where they are juicier and larger than average, and the best season to sample them is in winter. Oysters can be eaten raw with soy sauce or ponzu (tangy soy-based sauce), deep-fried, baked, grilled or served as a rice bowl at many restaurants across the prefecture. The famous cousin of the unagi (river eel) is anago (saltwater eel), another seafood specialty of Hiroshima, available year-round. Anago is less oily than its famous cousin and has a soft texture which is fluffy when cooked; it is most popularly served grilled on rice. 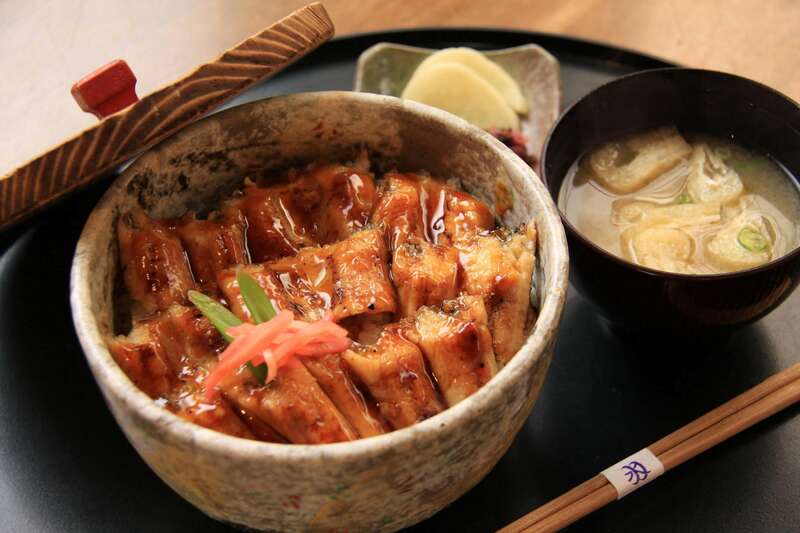 The most famous place for it is in Miyajima where the local specialty is the anago-meshi, grilled anago served with rice steamed in a stock made from eel heads. Mihara City, along the Seto Inland Sea, is famous for its highly-prized octopus which is best sampled from November to March, or June to August. 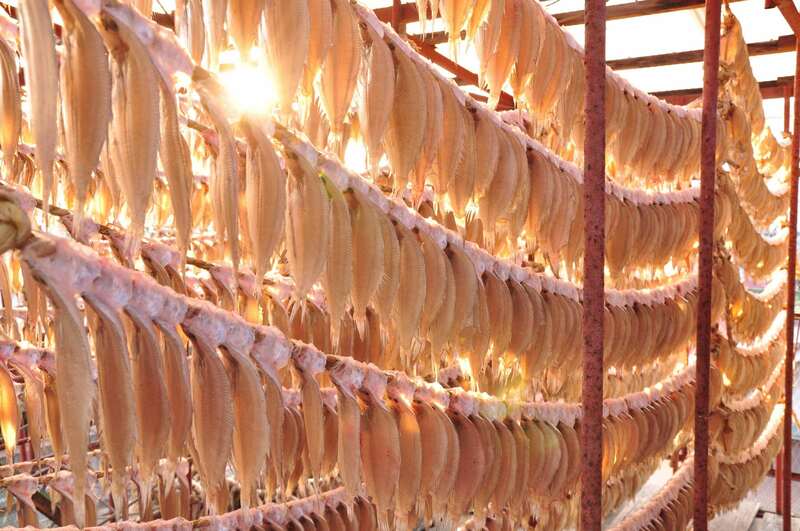 Wani (shark meat) is a local specialty in Hiroshima’s mountainous regions. Served on celebratory occasions, it is available as sashimi, and is best in autumn and winter.